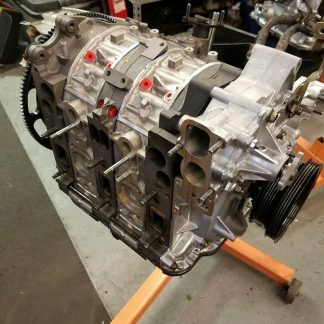 Often, the best starting point for your build is with a Mazda Remanufactured motor. You get all new seals, gaskets, and bearings. We find that nearly all Mazda Reman engines have brand new rotor housings as well as other hard parts. 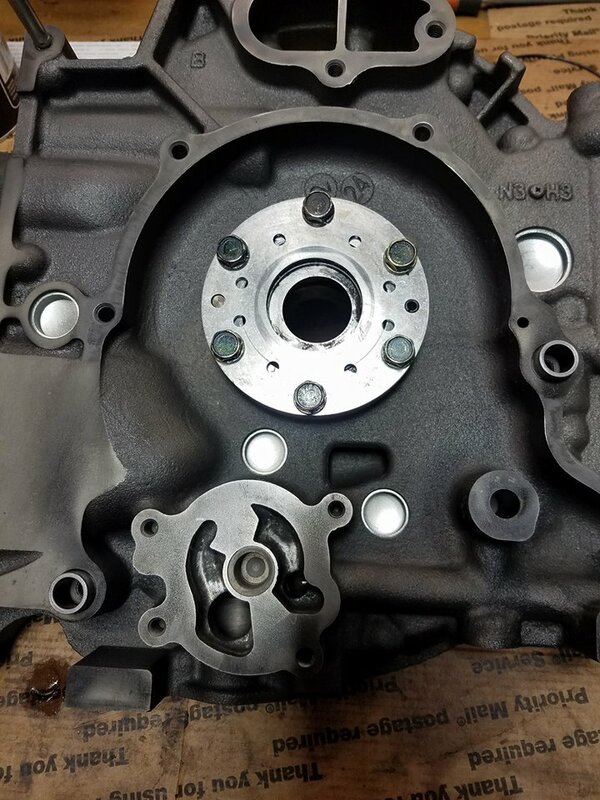 If not brand new, all parts are within Mazda spec. If you damaged a rotor housing or rotor, it is usually not cost effective to rebuild your existing engine. This is great for many applications. Form those wanting to take it a step further, we offer our Stage 1 MSP motor. We take a Mazda Reman motor, disassemble it, perform our modifications for better performance and longer service life, and reassemble it to our specifications. This especially beneficial in racing applications. We upgrade the stock apex seals with a stronger and more resilient version. These will take more abuse than the stock seals. Heavy-duty coolant seals are fitted for better resistance to high temperature. Viton orings are used for resilience to fuels such as E85 and other alcohol blends. Involves smoothing and enlarging of the oil passages around the oil pump, pickup tube, and galleys to the bearings. The stock castings are relatively rough. We enlarge the passages and smooth them for better flow. We also enlarge the passages to the rear bearing, as this gets fed oil last. Finally, we eliminate the problematic thermopellet in the eccentric shaft, which starves the engine oil for faster warmup (emissions) and is prone to sticking shut, leading to bearing failure. 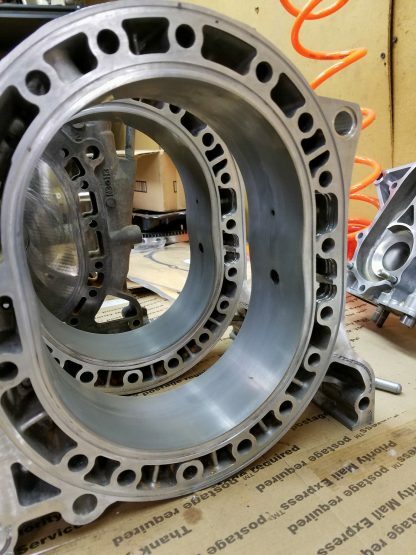 Performing these modifications allows for better oil flow throughout the motor and longer bearing life. This modification involves porting a series of bevels in the coolant passages around the spark plug area in the rotor housings. This is the hottest part of the engine. This allows for more surface area for the coolant to pass over, therefore removing more heat from the motor. We find that this helps prevent the cracking often found around the spark plugs on hard driven, high mileage motors. 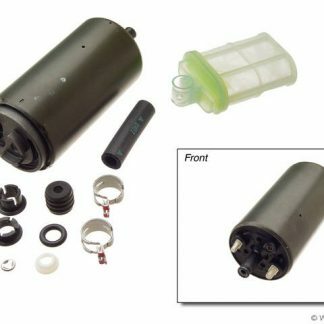 All seal clearances are set to our specifications and are consistent throughout the motor. 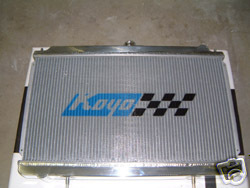 The result is higher compression, more power, and reduced blowby. Mazda tolerances are fine for general applications, but surprisingly inconsistent and loose for a performance application. Each motor includes a blueprintining sheet. -We recommend the installation of a high-flow catalytic converter on all RX-8s in order to reduce exhaust gas temperatures, underhood heat, and still comply with emissions laws. 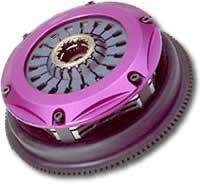 -We do not recommend porting the Renesis motor. These motors already have some of the largest ports of any rotary engine and there is little to gain for the added cost. 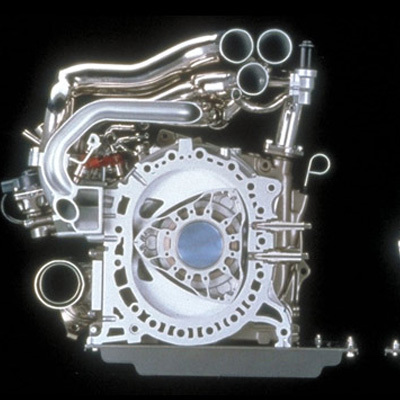 -There is a $400 core charge applicable if not sending us a core engine to return to Mazda.